Fiji is a place that lends itself to lots of activities or none at all - read or soak up the sun by the pool, have a massage, sip a cocktail watching the sunset or indulge in the fun and games. Your choice, in your own time - from golf, tennis, game fishing and spectacular scuba diving to beach volleyball, snorkelling, windsurfing or sailing. For more information about the local culture and traditional ceremonies of Fiji please visit our visitor information page. 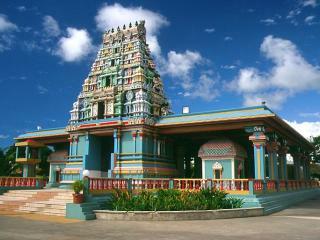 There are so many ways to see and experience the Fiji Islands and the Fijian people. From a scenic coach ride around the major towns to longboats cruising along a river; bamboo rafting down pristine waterways to 4 wheel driving through vast sugar cane fields; being guided by a local through a small village and swimming in one of the many watering holes. Observe the Fijian way of life as it has been for centuries and along the way sample an amazing variety of food and drink. Cruising is a memorable and enjoyable experience. Wake up to a new destination each day, what better way to see the Fijian tropical islands than by taking cruise holidays. The Mamanuca and Yasawa Island groups lie north and northwest from Nadi off Fiji's main island of Viti Levu. The islands, ranging from coral atolls to stunning volcanic outcrops, are the finest gems in Fiji's treasure chest of beautiful places. Travel Online represents Reef Escape and Spirit of the Pacific cruises in Fiji. 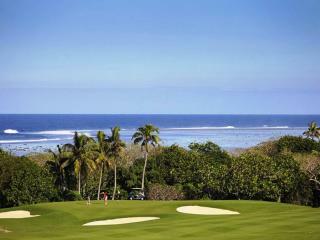 The tropical climate, the scenery, the resorts, the lazy idyllic lifestyle and.... the golf. The quality of courses and facilties, and the range of difficulty from beginners to championship, makes Fiji a golfing heaven. Some of the best courses in the world are in Fiji. Like the golf course at Sheraton Fiji Resort, landscaped with giant coconut palms it features water hazards on 15 of the 18 holes making it a 'thinking' golf course. Diving in Fiji is incredible. Warm, clear water, great visibility, myriad colourful fish and coral. Simply the best. Every dive in Fiji will be different but equally rewarding and pleasureable, not just the dive itself but before and after as well. You are with friendly, professional people who make sure you get the best from your dive. The romance of the tropics... Fiji has long been a favourite destination for honeymooners and couples and it's becoming increasingly popular for weddings or the re-affirming of vows. 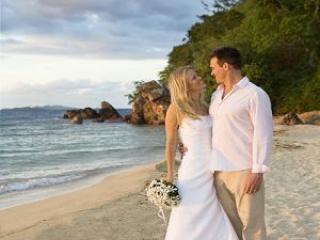 It's very simple and cost effective to arrange a wedding in Fiji, and we can do all the leg-work for you. Whatever your plans, come and discover why Fijians are the world's best hosts and dive into Fiji for a wedding and honeymoon that you'll never forget. 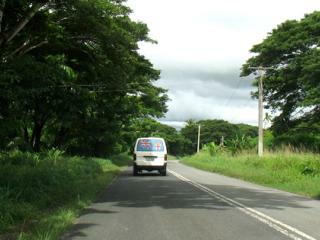 If you don't feel like following a tour group you will need a rental car to get out and about on your own. This site features Avis Rental Cars. Avis is Fiji's leading car rental company serving both the leisure and business traveller with eight locations around Viti Levu. This includes Nadi International Airport, which operates a 24 hours service. Avis is conveniently located close for your holiday or business needs.